... komm ja schon Mümmelgreis - herzlichen Glückwünsch zum ersten Platz in der Teutonen-Hitparade - gut gemacht - heut war mir aber der Balkon wichtiger als die neue von Coldplay ;-)<br><br>Der Song selbst ist halt wieder ein Qualitätsprodukt aus dem Haus Chris Martin - die Synthis bringen den Song gleich in die richtige Spur - das Arrangement verdichtet sich immer mehr - die Euphorie hält Einzug - das schottische Element ... Qualität halt. Ja, wieder einmal sehr gelungen. Möglicherweise erhöhe ich später noch, wenn ich den Titel öfter gehört habe.<br><br>So, jetzt erhöhe ich.<br><br>Mit der 6 habe ich aber schon stark übertrieben, das muss ich zugeben. Da haben sie viel Besseres. Guter Titel von Coldplay, der Gesang klingt aber leider wie immer. Hier sind die Jungs nicht besonders wandlungsfähig. Mir gefällt das Instrumental zwischen den Gesangsparts im Refrain ziemlich gut.<br><br>Starke 4. Erstaunlich wie wenig Kommentare auf "Ritmo de la noche" eingehen.<br>Da singt doch Tantiemen fällig oder?<br><br>Gefallen tut's mir trotzdem. Probably the first track of theirs that I have liked on first listen. Oh, except for The Scientist. So the second track of theirs that I have liked on first listen. Cool song.<br><br>Useless fact : The last song to be played on Video Hits after a 24 year stint on Aussie TV. der song wird irgendwie immer besser. 5*<br><br>EDIT: rauf auf die 6! Je mehr man den song hört, umso besser wird er. 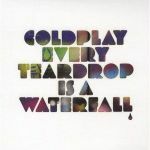 The interlude of "M.M.I.X" leads perfectly into this brillliant track Every Teardrop Is A Waterfall, which was the lead single off Mylo Xyloto. 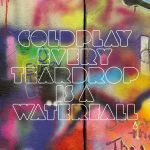 <br><br>Here were my initial thoughts:<br>The use at the synth as the intro was an interesting choice and as soon as I heard it, I began to doubt and thought that Coldplay were going downhill, but my doubts were soon wrong as soon as that awesome guitar came. The chorus lacks the 'it' factor for me though and seems a little dull. Nevertheless this still has the Coldplay sound and I can't wait for this to be hopefully commercially successful! Because it's Coldplay, it gets an extra star.<br><br>Now as I've come to listen to the album in full, this track is a very nice addition to the track listing. For me, this an excellent track by Coldplay, although it's definitely not their best. What makes the song so great is the instrumental timings which build up the song perfectly. Each part comes in at exactly the right time and it just makes the listening experience of the track so much greater. nervt wie die sau!!! dass es höchstens unterdurchschnittlicher kommerz ist, beweisen auch die reviews und der schnitt<br>schlechtester song von coldplay ever!!! 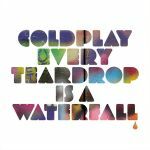 A solid return to the charts for Coldplay.<br><br>Peaked at #22 on my personal chart.<br><br>Came in at #138 on my TOP 200 OF 2011. I really wanted to like it more but I couldn't. An underwhelming return single from them. Thankfully the next single was better. 3.5 - 4. <br>Also worth noting it was the last video ever played on Video Hits. Jo, hier bin ich etwas hin-und-hergerissen, einerseits ist der Sound Super, andererseits wirkt das hier teilweise etwas überladen.<br><br>Gute 4. <br>Der Song ist mir zu monoton!